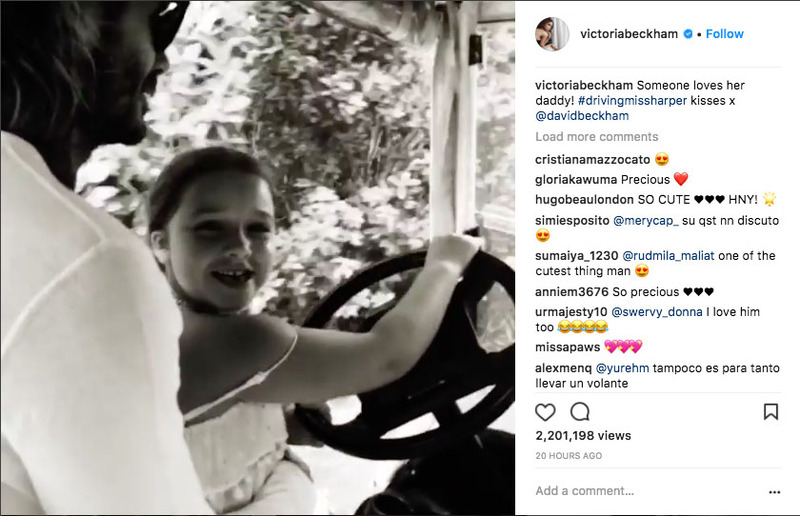 David Beckham has sparked a parenting debate online after Victoria posted a video to Instagram, showing their six-year-old daughter on daddy’s lap, while behind the wheel of a golf cart. 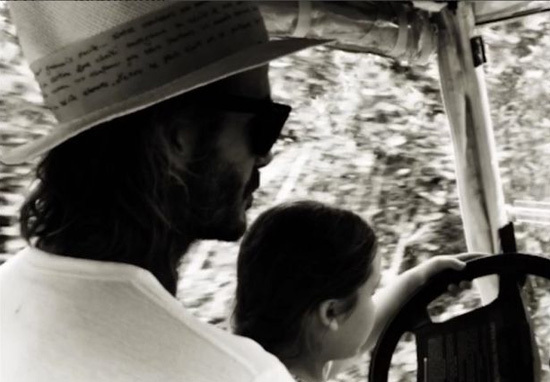 The short black and white filtered clip shows the happy father and daughter driving the buggy, both clearly enjoying the moment as Harper smiles and David kisses his youngest on the head. Yet the commenters have come out in force in both sides of shock and support – anyone would think he’d tapped Diego Simeone on the back of the leg a la France ’98. Love it! Someone will jump on the band wagon and say it’s dangerous watch this space! Take that down before social services come to take your child for negligence and endangerment in US. Honestly can’t tell if there’s sarcasm in that one or vitriol? Our Dave is a bit of a dividing character like that I guess? What’s wrong with some people, this is a lovely Dad and Daughter moment. She is with her Dad who would never let any harm come to her. Lighten up I for one love how the family let us share their spacial moments. I think you knew this video would be controversial! Does she have licence to drive that?? The Beckhams are yet to comment. It’s not even been seven months since David Beckham last caused fury online, again, for his approach to parenting. The former footballing legend posted a pic to Instagram in June of himself and daughter Harper on holiday in Tanzania, sharing an affectionate moment between family members. Becks captioned the image, ‘Kiss for Daddy’ with an adorable little love heart emoji. The father-of-four is seen kissing a then five-year-old Harper on the lips and some people weren’ happy about it. Victoria Beckham also came under fire when she dared kiss Harper on her birthday in July of last year. There are plenty of reasons I don’t want kids, but overzealous internet commenters must be pretty far at the back of my list.